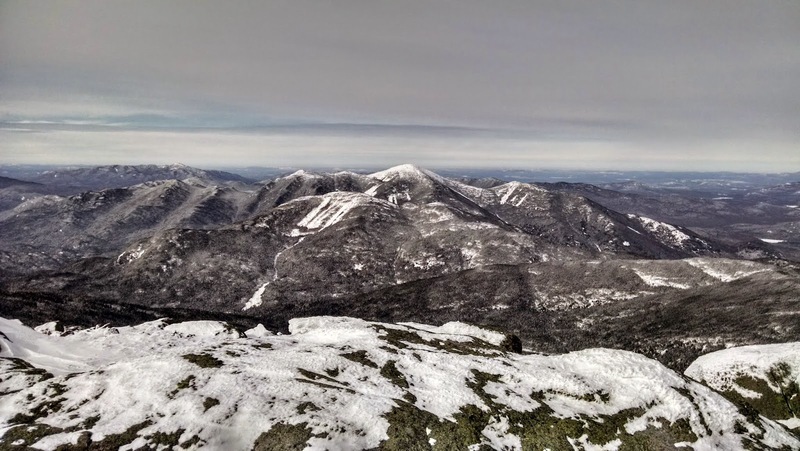 It's been (gulp) 18 years since I last skied Mount Marcy. 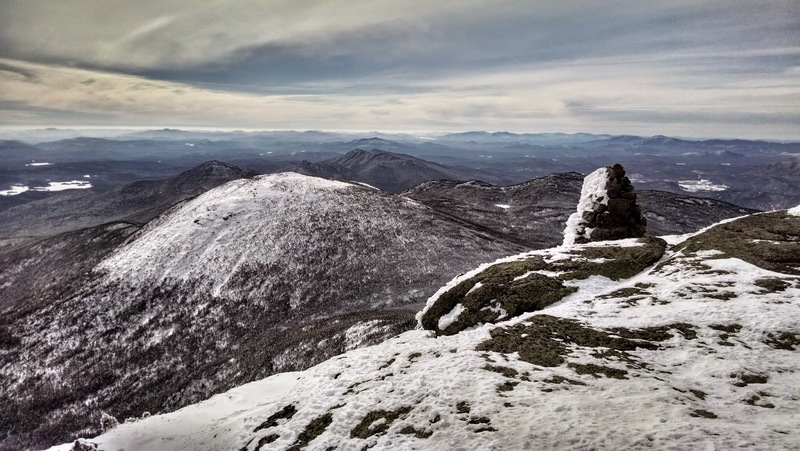 I couldn't believe it when I discovered it had been that long, especially since Marcy is the premier mountain ski trip in the Adirondacks. 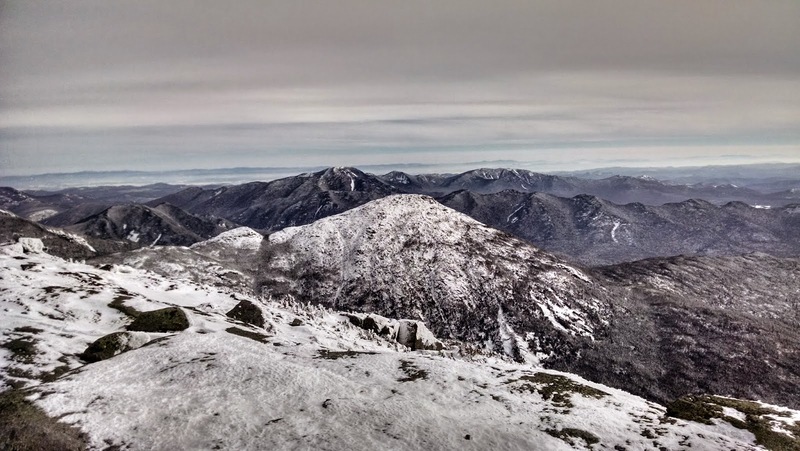 Not only is Marcy the highest peak, it offers the best ski trip to a summit that I can think of. 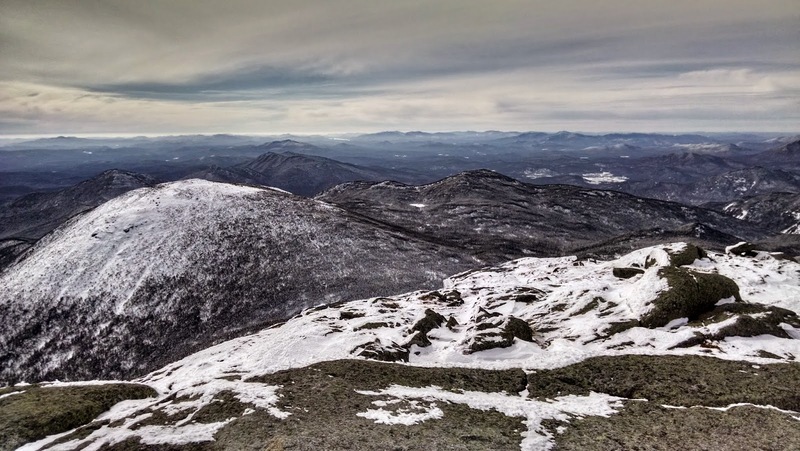 There are other excellent backcountry ski trips but none that reach a summit that compares to Marcy. 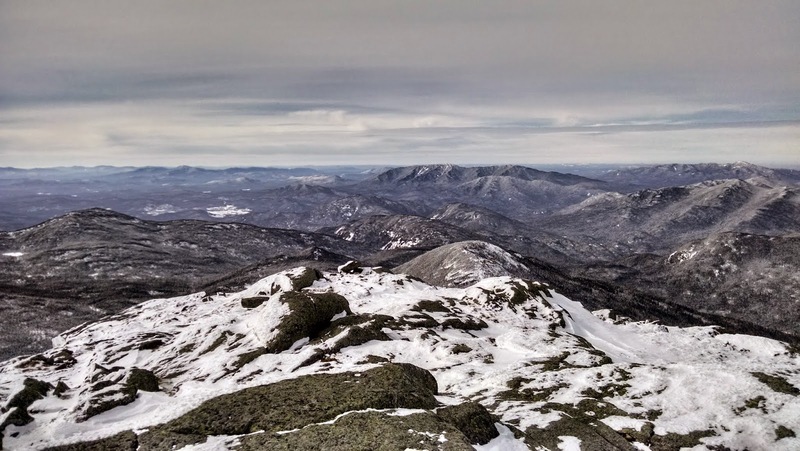 This route has been written up many times over the years in books such as "Ski and Snowshoe Trails in the Adirondacks" by Tony Goodwin and "Best Backcountry Ski Tours in the Northeast: 50 Classic Ski Tours in New England and New York" by David Goodman. I had planned to take Wednesday the 11th off from work and I wanted to do a big ski trip. I was considering a through ski of Flowed Lands and Avalanche Pass from Upper Works to Adirondac Lodge, but then I looked at the summit forecast for Marcy. The prediction was for partly sunny, mid's 20's and only 5 mile per hours winds (a rarity on Marcy). That sealed the deal. I left the Lake George area at 7:30 and was on the trail before 9:30. 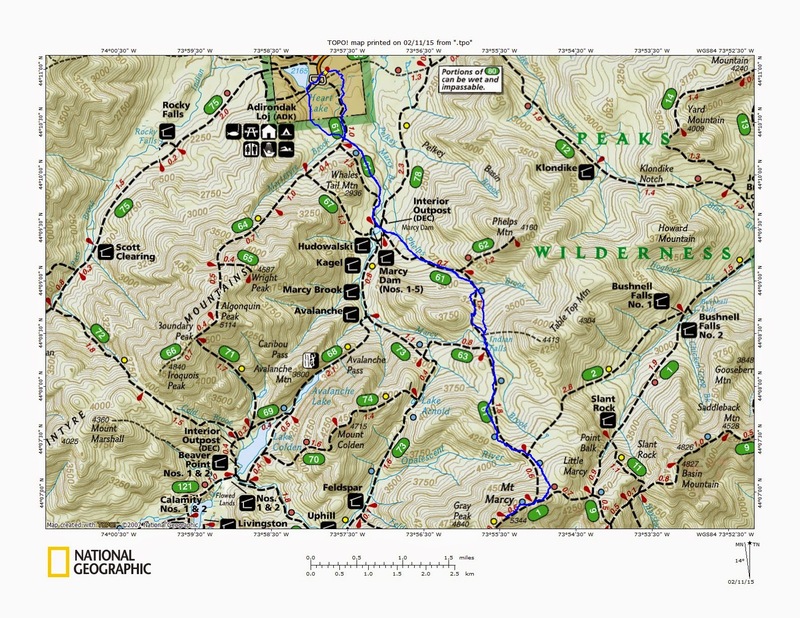 I started from the High Peaks Information Center (HPIC) at the southern end of Adirondack Loj Road. Another great option would have been to park at the barricade entrance to South Meadow Road and ski in via the old truck trail. I did not carry snowshoes with me, but I had microspikes for the last part of the hike. The summit is often too windblown to ski. Given the forecast, I was excited to revisit Marcy on skis. The added wrinkle on this trip would be skiing with my dog Rev attached to me via a flexi leash. I often ski with her, but not on a mountain where she is required to be leashed. The snow conditions were perfect. I skied past Marcy Dam in 35 minutes. In 55 minutes, at the 3.1 mile mark, I passed the trail to Phelps Mountain. I also passed two groups of three skiers also headed for Marcy. At the 3.5 mile mark, I crossed the bridge over Phelps Brook. This is where everyone always stops to put skins on their skis, and I did this here. It is exactly the halfway point in the trip. Once past the bridge, the trail begins to climb more steeply and a ski trail splits off from the hiking trail. I stayed on the hiking trail for the ascent. My skins worked well on the packed powder and I climbed as effortlessly as with a pair of traction snowshoes. After 90 minutes, I passed the herd path to Tabletop. The ski trip and hiking trail reunite near that spot. At the 5.8 mile mark, I passed the Hopkins Trail. I was 2 hours and 10 minutes into the hike. I hadn't expected to climb this quickly on skis, but I was feeling good. Before the Phelps Trail junction at the 6.3 mile mark, I passed a lone snowshoer. I could now tell that I would be the first one on the summit, as there were no more fresh tracks in the snow. I passed the Phelps junction in 2 hours and 30 minutes and I only had the final push to the summit left. This is where the going gets tough in bad weather. You are exposed to wind and the elements above the Phelps junction. On this day, it was pure joy to climb above the treeline. I got within 200 feet of the summit before I took off my skis and switched to microspikes for the windblown rock finish. I reached the summit at exactly the 3 hour mark from when I started. I stayed on the summit for 30 minutes and enjoyed sunshine and no wind! I mean absolutely no wind. I couldn't feel a breeze at all. I drank a hot chocolate and had some snacks and just enjoyed my first time here under these conditions. Finally the snowshoer reached the top and I left to surrender the summit to him for awhile. I took a bunch of pictures and below are a sample of them. I made my way back to where I left my skis and soon ran into the other skiers who were now nearing the summit. I was contemplating how to descend the the steep upper part of the mountain with Rev. If I took my skins off, I was afraid I'd be going too fast to manage her on the flexi. 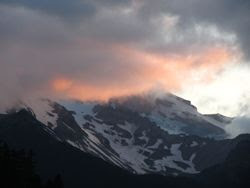 It would also be tough to look out for any hikers or skiers who were climbing. I decided to ski down the upper half of the mountain with the skins still on. I still went surprisingly fast since there are a couple locations with a 35% grade. At these locations, I reached 20 mph (even with the skins still on)! Lots of pictures here, but I wanted to include them all for those who never get to see places such as this. I did have two locations where I sat down on the back of my skis when objects loomed in front of me that put some fear into me. I also did one face plant. This occurred when I hit a mound of powder (with my skins still on ) and lurched forward. Lastly I had two collisions with Rev. I did one somersault over the top of her to avoid hurting her. We both came out OK in the end. Looking back up on the way down. It was getting even more sunny! Once we got back down to the upper bridge over Phelps Brook, I took my skins off. From there, it took 8 minutes to ski the 1.2 miles back to Marcy Dam! This was a great stretch of the trip. From the dam, it was another 30 minutes back to the HPIC. 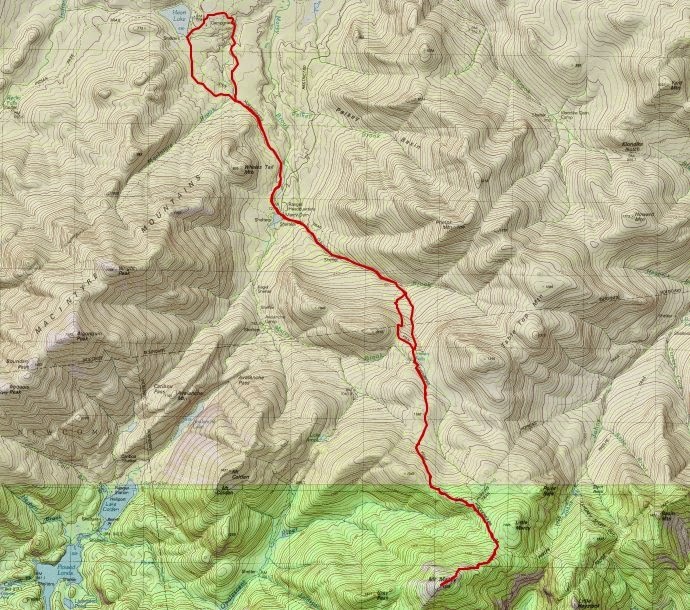 This time I took the old Marcy Dam trail from the Algoquin split to Heart Lake and back. Back at the car, I was grinning from a day well spent, and it wasn't even 3 PM yet. I hope I don't let another 18 years go by before I do this trip again! This route should be considered an expert level trip. It is intermediate level for the first half. After the last Phelps Brook crossing (where I put my skins on) it is considered difficult.